Transportation in Central Oregon is expected to change in the coming years, spurred by anticipated population growth and changes in technology and local needs. 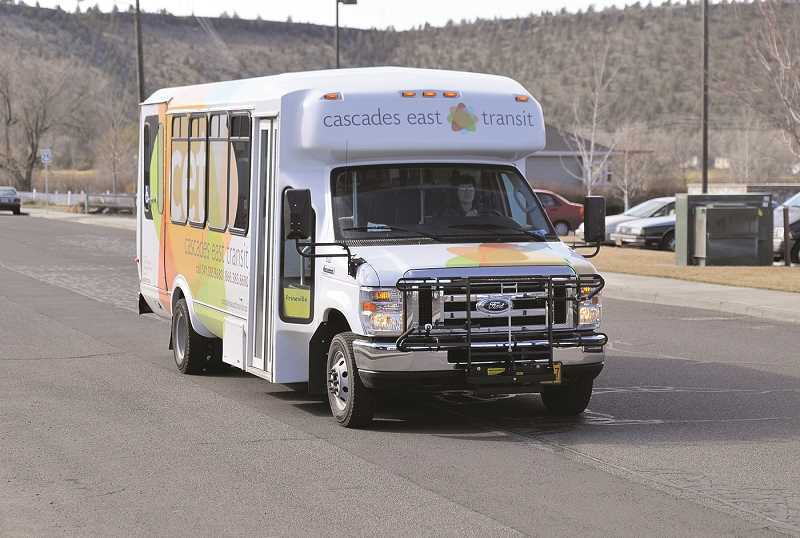 To stay in front of those changes, Cascade East Transit, a regional bus service, has begun work on a new master plan that will include strategies through 2040. The 2040 CET Transit Development Plan will identify near-, mid- and long-term transit service needs for existing service areas and areas into which CET may extend. Once developed, the 2040 Transit Master Plan will provide Central Oregon Intergovernmental Council (COIC) Board of Directors, managers, and staff a framework for providing transit and transit-related services to Central Oregon and beyond. It will be the only plan in Central Oregon dedicated to transit and is intended to be used by CET to identify new services, further policy discussions, and achieve significant progress in CET departments. "We decided to choose a 2040 plan to align better with other 2040 plans throughout Central Oregon, whether that means a land use plan or a local TSP (transportation system plan)," said Andrea Breault, CET's senior transit planner. "We wanted to make sure we were aligning our plan with other municipalities throughout the region." The master plan will address three primary components, Breault said, one of which is how the bus service can improve and expand its existing system. She said this might include an increase in service hours later into the evening or adding weekend service. "We are in the public feedback stage," she said. "What would you like to see that we are not currently doing? Where are the gaps?" CET held an open house in Prineville recently, one of several scheduled throughout the CET service area. Prineville customers expressed a lot of interest in expanding service into the Juniper Canyon area. A second component of the master plan is collaborating it with new Statewide Transportation Improvement Fund (STIF) tax dollars. Breault noted that tax dollars are flowing into Deschutes, Jefferson and Crook counties as well as the Confederated Tribes of Warm Springs — all locations where CET has jurisdiction. "The third piece is the future of transportation and technology," Breault said. "Obviously, technology in the transportation industry is getting a lot of attention, and we want to make sure we are on the cutting edge of that, whether that's better software systems to create route efficiency, better data tracking, understanding first and last mile, or understanding mobility throughout the region." Breault said that the long-term portions of the master plan will focus on the attempts to keep up with and utilize transportation technology improvements, while the near- and mid-term portions will focus on the next five years and make extensive use of public input. "In March, we are going to have a second round of open houses, and we will be going to Prineville again with some more detailed project items in which people can provide further feedback," she said. "Public input is the most important piece of this plan."